“The Right Side of History” is a podcast dedicated to exploring current events through a historical lens and busting left-wing myths about figures and events of America’s past. On this week’s episode, hosts Jarrett Stepman and Fred Lucas discuss the various media attacks, and in some cases, outright distortions about the Electoral College. They break down why the Founders created this institution to elect presidents and why it’s still relevant today. Jarrett Stepman: We’re now joined by Tara Ross, who is the author of literally the book on the Electoral College. It’s called “The Indispensable Electoral College: How The Founders’ Plan Saves Our Country From Mob Rule.” Thank you so much for joining us, Tara. Tara Ross: Thanks for having me. 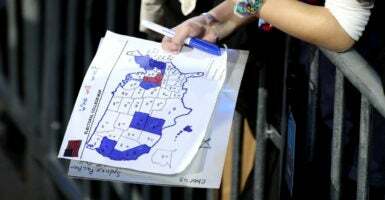 Stepman: So, getting down to kind of the basics here and we’ve discussed a little on the show what the Electoral College is about, but at its core, why did the Founders create the Electoral College for the United States? Ross: Well, I think to understand the Electoral College, you really need to understand the Constitution overall and what the Founders were trying to do there. We hear politicians and whoever say things like, “We’re a democracy, we’re spreading democracy around the world,” that you hear this kind of language all the time. But the Founders would not have agreed with any of that. The Founders did not think they were creating a pure, simple democracy. Now, they did want to create something self-governing. They had just fought an entire revolution because they had no representation in Parliament. So clearly, they were going to come out with something better where they felt like they had a seat at the table. However, they also knew, look, even if we had been given a seat in Parliament, we still would have been the minority, out voted time and time again by the majority of citizens at home in England. We would have been tyrannized still. It still would’ve been tyranny. So, how do you do this? How do you create a government that allows people to be self-governing and to make their own rules? But that also ensures that large minority groups—they would have been concerned at the time for small states. But how do you guarantee, or at least give the small minority groups, the largest minority groups a chance to prevent that sort of tyranny and from being ruled by an emotional or a bare majority? And so, they created a constitution that has checks and balances and separation of powers. And we’ve heard all of these things during our lives. The Electoral College is a part of this package. It protects from tyranny of the majority. It protects from a bare or emotional majority just running over the rest of the country. Stepman: Yeah. It seems to be the theme with the Electoral College. Like with all the other systems in our lives, it’s there to protect liberty itself; whether it has elements of democracy, whether it doesn’t, in some cases elements of federalism. I think it’s a big part of the Electoral College. It’s all basically creating a structure to preserve the liberty of citizens to preserve self-government, which seems to be at the core of what the Founders believe. I do think it’s interesting because, of course, we talk about the role of democracy in these things and in many cases, I mean, the Electoral College does have a healthy dose of democracy. Obviously, people now within their states vote for their electors, who ultimately cast the vote for president. So, it does seem to have democratic elements to it. It just doesn’t have this kind of simple form of 50 plus 1% of a mass national plebiscite. I think it most critically preserves that idea of federalism and the idea that the states actually matter within our system. Ross: Absolutely, and you hear people say the Electoral College is undemocratic. It is not. The question is not democracy versus no democracy. The question is, will you take pure democracy, a direct popular vote, or will you take the Electoral College, which is democracy plus federalism? Now, I would argue that democracy plus federalism—state by state action—does more to protect the liberty of the people because it encourages presidential candidates. You cannot just go to California and New York, camp out, and get as many votes as you want and win that way. You have to have cross-regional support. You have to have support across a wide variety of states. Otherwise, you cannot get the majority of state electors that you need to win the election. Now, Hillary Clinton actually kind of proved that last time around. She did get a majority of the individual popular vote, but she got 20% of that from only California and New York. That’s not a healthy dynamic for a country as big and diverse as America. The Founders knew this, and so, the Electoral College I think has worked really, really well to serve the purposes of the Founders. Fred Lucas: Tara, it’s Fred. I wanted to ask you about—you did have a chapter about those five occasions where the electoral vote and the popular vote split. So, that’s kind of much ado about nothing. We talked about that, those issues on the show. That’s sort of what gets some of the public steam is when the electoral vote goes the other way. I want get some of your thoughts about 1824, 1876, 1888, 2000, and what we just mentioned, 2016. Why those were not undemocratic. Ross: Well, 1824, people really throw it in the pile. So I did, too. But I don’t really think it’s representative. It’s not representative of our system right now. There were lots of state legislatures that were selecting the electors directly. There was no election of the states. Ross: Right. So, the truth of the matter is that we just don’t know how that election would have turned out. Ross: Now, 1876 and 1888, you can really kind of clump them together. And how I look at it actually is to look at the period after the Civil War and the period we’re in now. And I think they’re very analogous. Both times, you have two elections where the winner of the national popular vote did not match the winner of the Electoral College. Both times, you’ve got a country that’s kind of divided in turmoil. Of course, after the Civil War, it was North versus South, and there was just lots of upset, and maybe even dishonesty. And now, we’re in a similar period where people are upset and there’s so much anger and division. Now back then in the 1876 and 1888, those were the two elections where there was a discrepancy. But back in those decades, what ended up happening is because of the Electoral College, it was impossible for the nation to stay stuck in that horrible place. They couldn’t. Democrats, they couldn’t win an election unless they figured out how to reach a hand across the aisle, at least far enough to get to some independence and figure out how are we going to get enough electors to win a presidential election? Now, Republicans had enough safe electors that they could win just relying on those people, but it wasn’t very safe. And if Democrats got even one of their states, well, then they weren’t going to win after all. So, they couldn’t just sit there and rest on their previous victories. They had to work, too. Lucas: It sort of helped unite the country after that, right? Ross: Right. Both parties having to reach out to people on the other side, and I would argue that today, if we let it just let us stay, we will end up in the same place. Parties will have to figure out how to get past this anger or they won’t be able to win. Stepman: Going on at that time. In some ways, it goes to the kind of the strengths of the Electoral College, too, because while in certain states there was border suppression, it was in some ways limited to that state, which was going to go Democrat or whatever it was at that time. It kind of limits the damage that you can see. I mean, that’s something that I think I definitely worry about seeing in modern times. You have both at the same time. You have this move to abolish the Electoral College, and you have some states that are, for instance, try to take President Donald Trump off the ticket. You have some states like, I think it was Delaware doing this. That obviously changes what exactly the vote totals are going to be, At the end of the day, if it’s just your three Electoral College votes, it’s just your three Electoral College votes, no matter what the system is in your state. So, it does seem to a certain extent, the Electoral College kind of contains irregularities that we have in certain regions. I can only imagine how the recount would have been in Florida in 2000 if this was a national vote. If we really had to go back and recount all the votes in the country, we might still be counting those votes. And to a certain extent, having it just contained to Florida seems to really be a strength of our system. Again, it goes back to that idea of federalism, which I think it seems to be most of the Founders seem to have had this strong attachment to the idea of federalism. They weren’t always in agreement with how our Constitution was going to be. Some were more on the national side, some wanted more power for the states. But there did seem to be a foundational backing for why we have this system, why it works almost better for us today. Wouldn’t you say that? Ross: I agree completely. And the whole last three chapters of my book are about just that: states taking responsibility for themselves in the presidential election system, and really any part of our governance. But in the presidential election system, that decentralization really helps our process. Lucas: Could have turned into another Civil War almost. Ross: 2000, which you mentioned, is the same sort of thing. Federalism really helps us quite a lot. Stepman: Yeah. One thing I did want to ask about is this interstate compact that’s being pushed. States just this year, Colorado, New Mexico, Delaware, have passed it. That gets it up to 189 electoral votes closer to the 270 needed for the compact kick in. Is this a big concern for you and do you think it would be constitutional? Since states can choose electors however they want to. Ross: I am concerned just because they keep chipping away. But this has been going on for like a decade, and in the beginning, everybody laughed at it. This will never happen. And now, like you mentioned, they got only three states. And by the way, they’re not done yet. I mean, there’s still other states that are in danger this year. They’ve got three so far this year, and that brings them up to 189. They are working hard to get it done in time for 2020. I still think that’s a bit ambitious, but they’re working hard and I do not think we can take for granted that it will get defeated. I think they could get the votes they need. As far as the constitutionality, they say that they can do it because of Article II, which gives great discretion, which no one really disputes, gives states great discretion in how they’re going to award their electors. Ross: That would violate the 19th Amendment. So in the same way, I would argue this compact, because they are using a compact, looks like a violation of Article V of the constitutional amendment process in the Constitution. Stepman: Isn’t Congress usually in charge of also approving interstate compacts? Lucas: The founder of this movement, he has tried to argue that—he’s a lottery guy, made his fortune off of scratch-off lottery tickets—he’s tried to argue that lotteries are interstate compacts. I wouldn’t think that’s quite the same thing, but I mean, from a legal standpoint, what’s your take on that? Stepman: Well, it hardly rises to the level of an end run around the constitutional amendment process. What I would say generally about the court’s compact jurisprudence is I think it’s way too watered down, and they have let way too many things slide that should have been sent to Congress under Article I, Section 10. But be that as it may, what they are doing here, even with those water down precedent, this is so different than anything that has proceeded it. To think that you can change one of the fundamental compromises in the Constitution? That’s crazy. And to think you can do it by signing a contract instead of just instead of getting the required super majority of states to go along with your scheme? I mean, that’s nuts. What could you not change in the Constitution? It’s a compact. Lucas: And one more point on this interstate compact is just that two the states, of those three that I named, Delaware and New Mexico, they seemed like they’re small states. That’s the very type of state that the Electoral College is supposed to protect. Does it seem like they’re shooting themselves in the foot in that instance? Ross: I think so. I can never figure out why people think that you can change the prize, the award of the presidential election system. We’re going to give the greatest prize to the person that gets the most individuals, but don’t worry, they won’t change their strategy to go to where the most individuals are. Ross: Don’t worry. Like, that’s silly. Of course they will. I mean, people are motivated by the rules of any game. And so, strategies will change, and I think Hillary Clinton showed pretty persuasively that you can just go camp out in big parts of the big urban areas in the country and get an awful lot of people to vote for you. The top four states have something like a third of the population. That’s crazy. Stepman: Yeah, absolutely. And on top of that, I think there are a lot of constitutional issues with this compact. Also, just simply assigning the votes of your state to a population outside of your state, I think that would actually be unique within our system. You could even say that it disenfranchises the voters of the state and I think has complications with the 14th Amendment as well. So, I think it seems to have a lot of issues. It’s interesting that they’ve moved tactics from the constitutional amendment to this compact, which has been around for awhile. It seems like a really kind of reckless thing and something that likely will have a lot of problems in the courts. Of course, some have actually continued to push for the constitutional amendment, which seems the more, obviously, legitimate way. But I think because, especially now, it seems unlikely that they’re going to get the kind of large, large majorities. I mean, the three-quarter of votes of the states to actually sign on to that. That’s pretty much a fool’s errand at this point. So now, we’re at the point of trying to do an end run around the Constitution. So, one last question I wanted to ask you, because this is unfortunate this has come up a lot, as far as the origin of the Electoral College. You hear this a lot from people, and I do think it’s based on somewhat of a historical ignorance that the reason we have an Electoral College is because of slavery. That essentially, it’s there to protect slavery, and there’s little other historical explanation for why that is. Can you kind of address that and explain why the Electoral College really has nothing to do with slavery? Ross: I mean, if you can turn the Electoral College into just the relic of slavery and give it that label in people’s minds, it’s so much easier to tear it down. Right? And so, that’s why this is happening. And they base their entire argument based on one quote from James Madison on one day in the convention. And if you really read that day, by the way, it’s just kind of this off-the-cuff, like it’s not even his main point. His main point that day was about separation of powers, and they were talking about term limits for the president and legislative selection, and how do you keep the president accountable? Do you want the same body to elect him and impeach him? And these are the kinds of conversations that they were having at the Constitutional Convention. And if you look at it, you don’t ever look at the Constitutional Convention and see this division between slave and not-slave states. You see a division between large and small. Over and over again throughout the Constitutional Convention, for all those months and weeks of debate, and by the way, some small states had slaves, some didn’t. In the same as large, some large states had slaves, some didn’t. Well, Gutting Bedford worked against slavery in his lifetime. So, it’s just not there. If you read the convention, the notes of the debates, you see small states not trusting large states and those delegates trying to figure out how to balance that in a big country. Stepman: Yeah, absolutely. That’s something I noticed, too, from that Madison quote, that people try to connect it to slavery. It’s very ambiguous, too, as far as whether he thinks actually the Electoral College would benefit or be positive or negative to the slave-holding states. It’s very unclear of what he’s actually trying to get at in the quote. And to say that the whole institution was created to protect slavery based on that one somewhat ambiguous line for Madison is, in my opinion, beyond a stretch. If you actually read through the debates in the consensus that they built to create the electoral votes, which actually seems, I mean, as Hamilton even noted, was one of the least controversial things at the convention, and the Founders, the Framers obviously disagreed on a whole lot. This is one of the things that they seemed to come to broad consensus over. To link it to slavery seems to be, in my opinion, it seems to be a very dishonest injection into this modern debate that we have over the Electoral College. It’s kind of a dishonest history. CNN running quotes, showing James Madison calling the Electoral College evil, which had nothing to do with it. I mean, that’s just really kind of dishonest history, and it is good to see some clearing up. 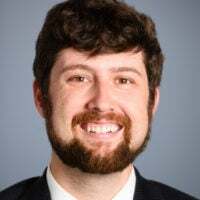 I know some have, like Sean Wilentz, I believe was a Princeton professor, has actually recently apologized to The New York Times for helping to spread this idea that it was based on slavery. He actually retracted it in his book, and I would say good for him. But unfortunately, especially here on cable news, things like this kind of connection really do a deep disservice. If you want to argue that you don’t like it, you want a national popular vote, fine. But to link it to slavery … It must be frustrating for you, Tara, because, I mean, you are somebody who is, I would say, the expert on the Electoral College, to hear this time and again, this kind of dishonest history. Ross: I just think that he who controls the terms of the debate often wins it. We’ve seen this in lots of issues in our lifetime; and so, they are trying to do that now with the Electoral College. If we can call it, it’s a relic of slavery. It’s outdated, whatever, it defended this institution that we all don’t like anymore. Anybody would just like an institution like that. Of course you would. Ross: But it’s just not true. It’s simply not true. I mean, if you want to know really the foundations of what the Electoral College is, you really can’t pick up a better book. You can’t enlighten yourself more than if you read this. So, thank you so much for all the work that you’ve done on this.